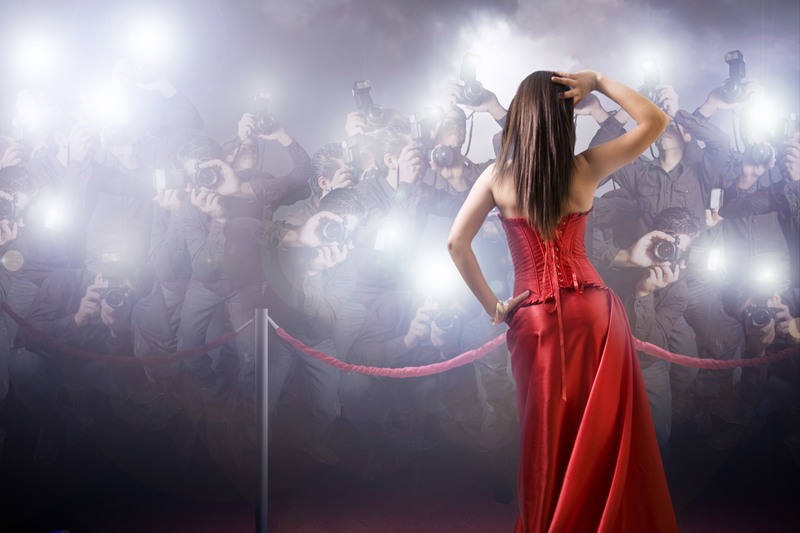 Why everybody wants to be famous, and why it has to make us unhappy. Why do so many people want to be famous? As someone who is partially famous (yes I am! In certain circles…) I can tell you its not worth it. Fame is a con. Seriously, you should see some of the crap coming at me on social media. I can have sympathy for the trolls in their cold little troll-holes most of the time, but I tell you, it tests you. If I could do what I do without a public profile, believe me I would. But the desire for fame is pretty universal. And the only people who can escape it do it with a fair bit of inner-work and reflection. And so it seems hard-wired into the human psyche. We’re programmed to be fame-hungry. Why is that, you reckon? I think, deep in our subconscious, we see it as a stepping stone to the things we really want – love, safety and resources, chocolate etc..
We think that if we’re famous, then people will love and care for us, and we’ll never need to win another heart again. We think that if we’re famous, people will look after us and protect us. They’ll keep us safe. And we think that if we’re famous, people will give us stuff, even their bodies! And we think people will send us chocolate for our birthdays. Most of that doesn’t stand up to any scrutiny. I mean sure, Brad Pitt doesn’t have to suffer through too many cold nights alone, not if he doesn’t want to. But the rest of it? I mean seriously, I felt safer when I was a nobody! And when you’re famous – people treat you like a commodity. Just a smiling face to get a selfie next to. They want to claw at your insides and throw it up on Instagram. Think of poor Princess Di. No, fame is a delusion. We think it will win us all these things, but it rarely does. Not only that, it comes at a huge cost. It messes with your mind. It skews your sense of reality, and your own sense of importance. Humility is an essential ingredient in a happy life. Humility is hard to maintain when women are throwing their underwear at you. And worst of all, it feeds the ego’s ridiculous notion that it can live forever. Even if the body dies, the legend (aka ego) can carry on forever. The sooner your ego is able to confront the reality of death, and the sooner you realise that love, safety, and security must first come from within, the sooner you will know happiness. Fame just gets in the way of all that. So look, this lives within all of us. Even if it is just a dull flame, it’s still just human nature. But it’s also a powerful reflection. Where are your drawing love and a sense of safety from? Are you filling your own cup? And does your ego still think that it might live forever? Questions we should all be asking ourselves.